A is for a-n The Information Company (2002-2005). Guest commissioning editor for a-n, Smith worked with a number of scholars, artists and writers. Ten Two Zero Zero Five was an eclectic series of writings embedded in sites of specificity. Tales of Two Cities explored the dualities and distinctiveness of the major centres of art production in Brazil and South Africa. Inhabited Spaces a six part series incorporated new media, installation, politics and play. Artists’ Francis Upritchard, Ian Dawson and Jason E Bowman, amongst many, wrote their intimate and poetic Artist stories. B is for Board Member. Smith is a Trustee of London Printworks, a centre for the innovation in printed material. C is for Consequences of our actions (2005-). Smith is developing a work in progress for Angel Row Gallery. D is for Deborah Smith. Smith is a curator working as a catalyst in the production and diffusion of contemporary art in a wide variety of contexts, exploring different strategies for collaboration and the presentation of cultural practices. This a-z presents an insight into the diversity and broad context of Smith’s curatorial practice. D is for Derbyshire Arts Development Group. Action research project in rural Derbyshire undertaken by Smith with Alice Angus (Proboscis), culminated in two exciting site specific commissions; Out of Curiosity by Lothar Goetz and Memories of the Little by Hannah Carvell. E is for Earthly Paradise (2006-2009). Smith is always looking and listening to find a place to begin… Earthly Paradise, in association with Chapter, is at the start of its’ journey. The title Earthly Paradise is taken from William Morris’s 1871 book of voluminous poetry and prose, and subverts Morris’s premise for an earthy paradise, to explore material culture in its’ many disguises. F is for Peter Fillingham (1998-2000). smith + fowle were pleased to present the 1st London solo exhibition of Peter Fillingham’s New Work with Justine Daf, Jealousie, at Cable Street Gallery. G is for Glasgow 1999: UK City of Architecture and Design. In association with the architectural critic Rowan Moore, smith + fowle worked on the exhibition and publication of Vertigo: The Strange New World of the Contemporary City, exploring projects that exemplified the forces that shaped contemporary cities. I is for independent. Smith is an independent curator working internationally in galleries and public sites. K is for Kerry James Marshall (2003-2006). Smith is the curator of the 1st UK touring exhibition of the highly acclaimed American artist Kerry James Marshall. The survey featured collages, monoprints, drawings and epic large-scale paintings from the 1970s to the present. The exhibition Along the way was curated in collaboration with Camden Arts Centre, in association with BALTIC Centre for Contemporary Art, The New Art Gallery Walsall and Modern Art Oxford. L is for Liverpool Biennial 2002. The International seminar Metamorphosis examined the city as a cultural site exploring how social change and the built environment impact on artistic practice. M is for Missing Alphabet letters in this a-z. N is for Navigating History (2002-2005) www.navigating-history.net. Smith working with Alice Angus (Proboscis) invited 11 cultural practitioners to respond to the unique local history collections sited in East Sussex Record Office in Lewes, Folkestone Library & Museum and West Sussex Local Studies Collection in Worthing Library. Stephen Connolly, Neville Gabie, Andrew Hunter, Rob Kesseler, Rachel Murphy, Simon Pope, Mah Rana, Claudia Schenk, and Bob Roberta Smith, wove a maze of narratives from the unexpected to the peculiar, the tragic to the wondrous, revealing stories of ordinary people to those documenting momentous events. O is for Optimistic Mood: a foundation for action (2004). The transatlantic partnership between Julie Deamer (Los Angeles), Eileen Sommerman (Toronto), and Smith (London), was about inspired thought, action and overpowering desire for change. Through drawings, photographs, film, performance, objects, the artists, Sonia AbiÃ¡n, Scoli Acosta, Chris Johanson, Karma Clarke-Davis, Hirsh Perlman, and Temporary Services, presented visions of their imaged present and future. P is for Photographers’ Gallery (1997-1998). Smith curated the 1st UK solo exhibition of Rineke Dijkstra and the prestigious Citibank Private Bank Photography Prize of 1998, awarded to Andreas Gursky, in her role as Programme Organiser for The Photographers’ Gallery. R is for Richard Wentworth (2000-2001). smith + fowle presented a comprehensive commission by the influential British artist Richard Wentworth in Winchester Cathedral as part of the Art in Sacred Spaces programme. S is for smith + fowle (1996-2001) www.smithandfowle.org. Smith is the co-founder of the curatorial partnership smith + fowle (1996-2001). The partnership worked with artists and cultural organisations to develop projects that placed enquiry, research, experimentation and exchange at the heart of art practice. Operating in galleries and public sites across the UK, smith + fowle produced exhibitions and large-scale temporary commissions, as well as residencies, conferences and publications. S is for Shelf Life. smith + fowle collaboration with Gasworks Gallery (London), Spike Island (Bristol) and Bluecoat (Liverpool) and 13 international artists from Europe, North America, South America and South Africa. Artists embracing and challenging consumerism in their practice such as Robin Rhode, Dario Robleto and Kerry James Marshall, were presented in the galleries, studios and the surrounding urban area at all three locations. T is for Three: Art Projects for Social Exchange (1999-2000). Commissioned by smith + fowle, three artists groups, Kathrin Böhm + Stefan Saffer, N55 and muf, who fuse the language of art, architecture and design developed new projects for social exchange in public spaces around Canterbury. T is for To be continued > (1998-2000). 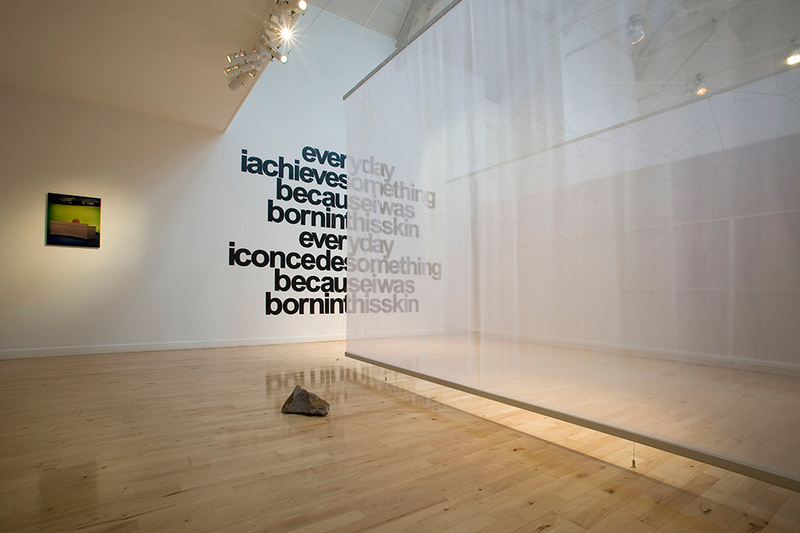 A programme of temporary and permanent commissions that took place during the construction of The New Art Gallery Walsall. Over 20 artists from the UK and abroad developed new work using their personal experiences of Walsall as a starting point. Artists’ interventions including Henrik Plenge Jacobsen, Catherine Yass, Fiona Banner, offered different ways of engaging with the built environment of Walsall town. V is for Victoria & Albert (1999). smith + fowle conducted research into how young audiences navigate the 21st century galleries of Design, Fashion and Jewellery. W is for Will you walk into my parlour (2006-). Smith proposes for the Stanley Picker Fellowship 2006 an exhibition that takes it’s title from Mary Howlitt’s nineteenth century poem, The spider to the fly. The proposition Will you walk into my parlour? enters into the domestic sphere, its objects, spaces and relations, weaving intricate webs of deception, interrogation and curiosity. Y is for You don’t know me but… (1996-1998). You don’t know me but…, a familiar opening gambit in a conversation, artists Jeremy Deller, Faisal Abdu’Allah, Lesley Hakim Dowek, Alistair Raphael and Mary Evans, were commissioned by smith and fowle to develop new work in relation to others’ experience and knowledge. The exhibition toured to De La Warr Pavilion (Bexhill), Winchester Gallery and Pitshanger Manor (London).